I went to Dillards and purchased the Lancome nail polish Jolie Rosalie and an eye brow pencil, which I received a free gift for purchasing $35+. I love Jolie Rosalie, the formula is great and very easy application. 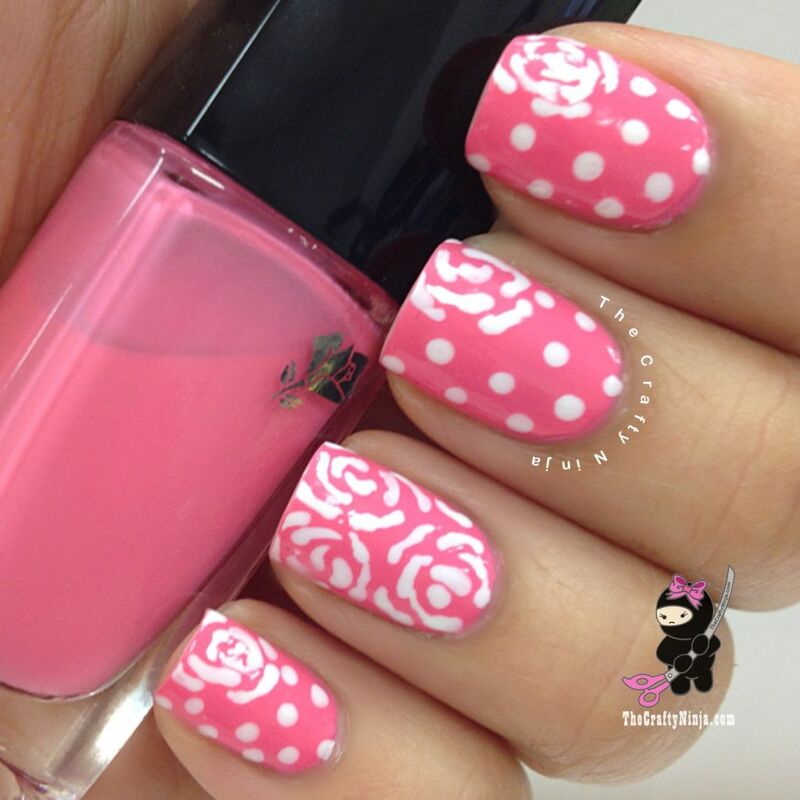 The nail polish brush is wide so its very easy to apply the nail. 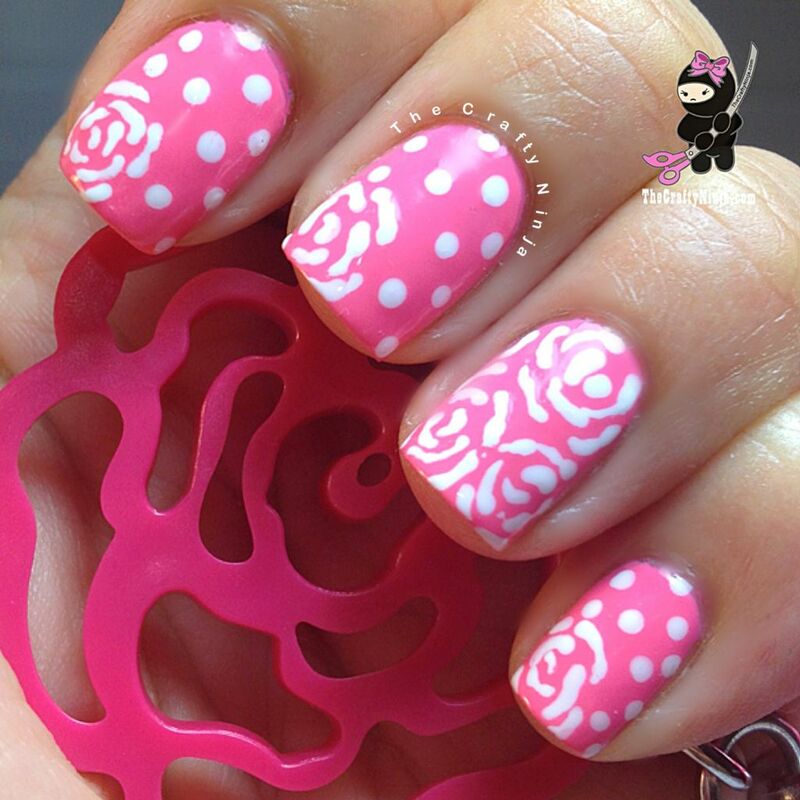 I was inspired by the Lancome makeup bag to create this nail design. 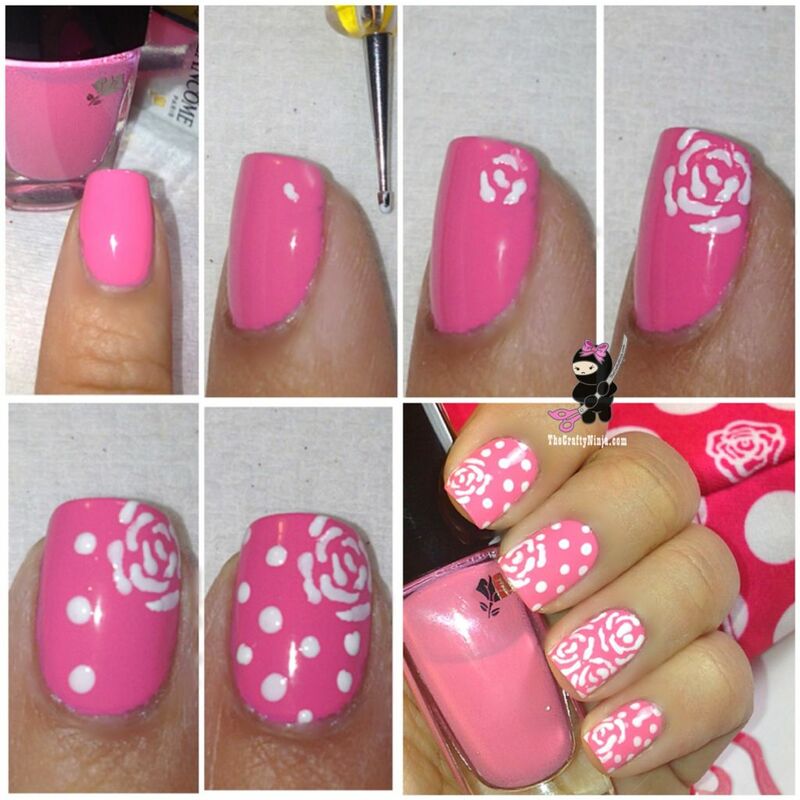 DIY pictorial of flower nails: I used the Nail Dotting Tool to create the flower and dots.